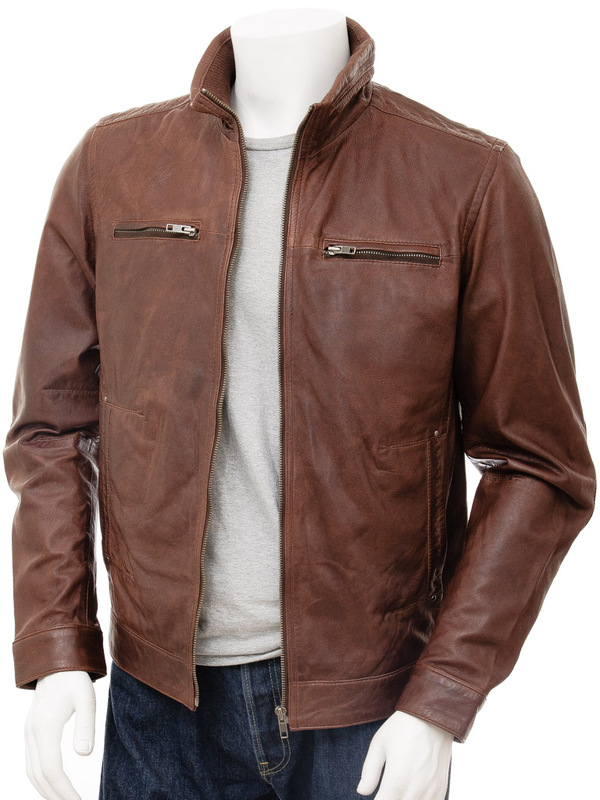 A superb chestnut brown leather biker jacket with interesting topstitch detailing. 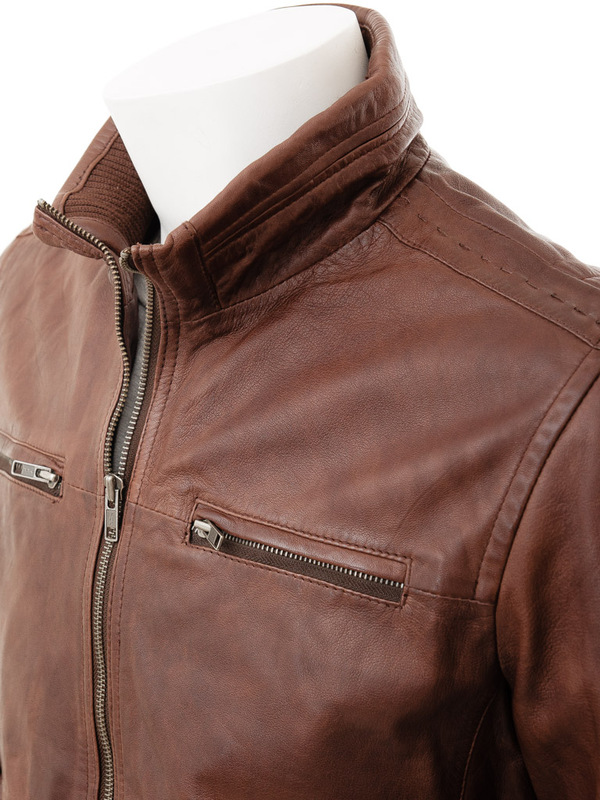 The great thing about the sheep aniline hide used in this jacket is that it reveals the character and original markings of the skin. It works really well with styles like this that are clean and minimal. 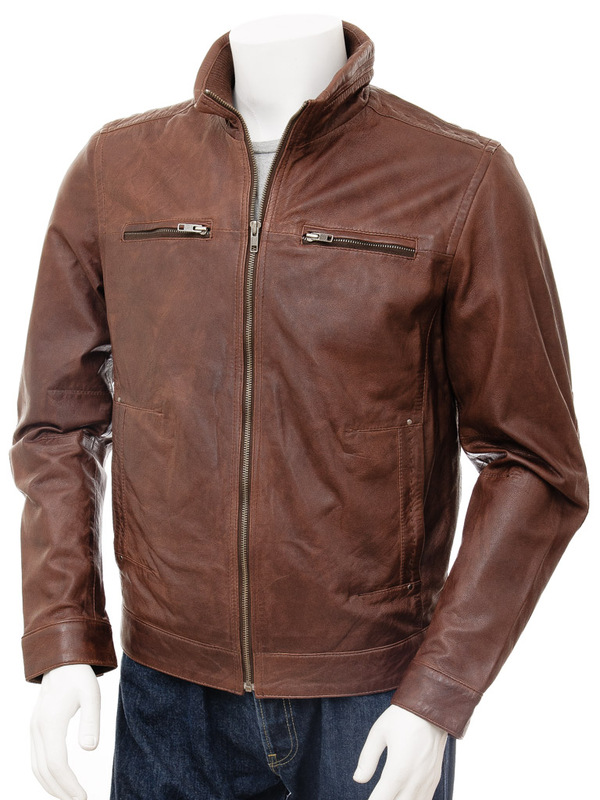 This biker jacket has an exposed YKK zip and high funnel neck collar which is lined with rib knit for extra warmth. There are two zipped chest pockets and two jet waist ones with running stitch detailing. 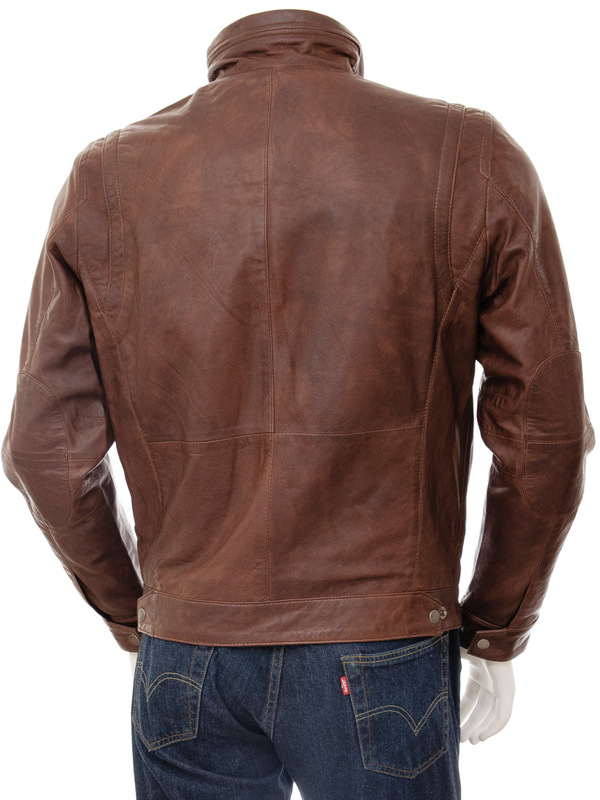 The back is plain whilst the cuffs are shirt style gauntlets that are adjustable with a couple of press studs. 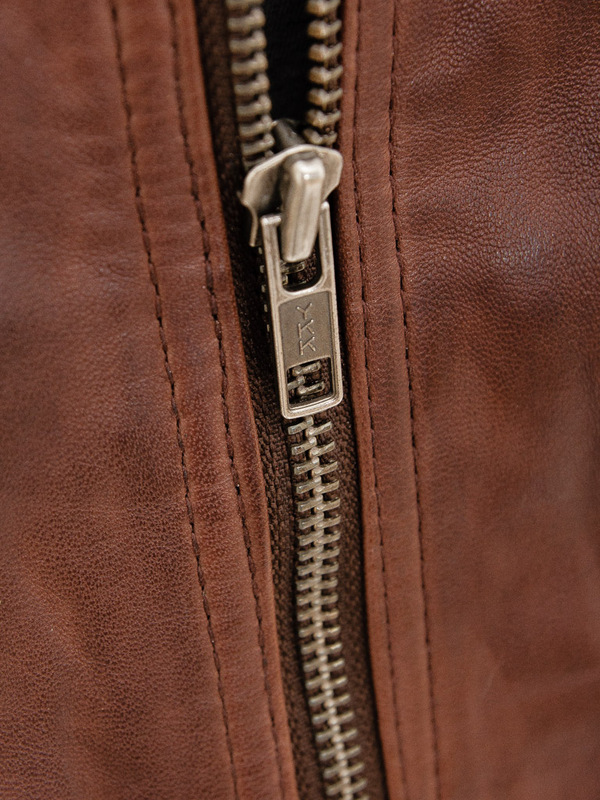 Look inside any you will find a full polyester poplin lining with three more interior pockets, one of these is zipped too.